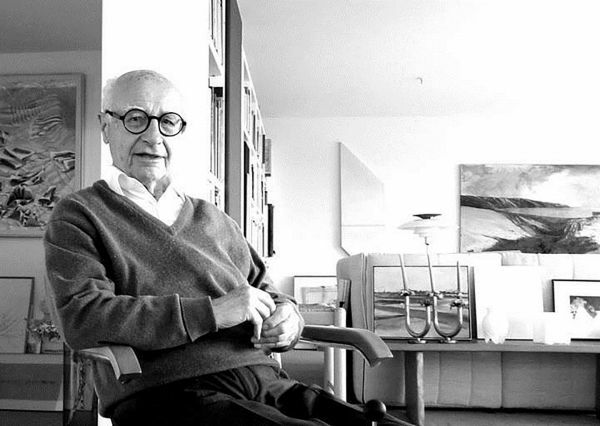 The Australian Centre for Architectural History, Urban and Cultural Heritage (ACAHUCH) at the University of Melbourne is hosting a lunchtime lecture by Professor Paolo Tombesi on the life and work of Romaldo Giurgola (1920-2016), architect of Parliament House Canberra. In the course of a career lasting more than 60 years and dotted with professional achievements and disciplinary recognitions with a few equals, Romaldo Giurgola came across (or set out to cross) profoundly different cultures and architectural landscapes, from Italy to America, America to Scandinavia, Scandinavia to Australia, Australia to Asia. Though very heterogeneous in terms of program, commissioning and also formal results, the work produced along this epochal path retains a strong overall organic nature, reflecting Giurgola’s typical way to interpret the social and productive context of his physical interventions in a rational manner, while also betraying the presence of a strong classical culture continuously filtered and enriched by his own life experience and brought to bear on every architectural decision. Trained as an architect in Italy, Paolo Tombesi holds the Chair in Construction and Architecture at the Swiss Federal Institute of Technology in Lausanne (EPFL), where he directs the Institute of Architecture in the School of Architecture, Civil and Environmental Engineering (ENAC), and the research laboratory FAR as part of the newly established Fribourg-based ‘Smart Living Lab’. Prior to his appointment, in 2016, he was the Chair in Construction at the University of Melbourne, Australia, where he retains the Professorship of Building.